Please allow 0.3\"-0.9\" in size error due to manual measurement. And please confirm the size info according to our description instead of the photos. STYLES /FEATURES/ MATERIAL: This evening handbags come in many different styles, like Clutch, Cross-Body bags, Purse, and this evening bags with chain strap will make you look even taller. 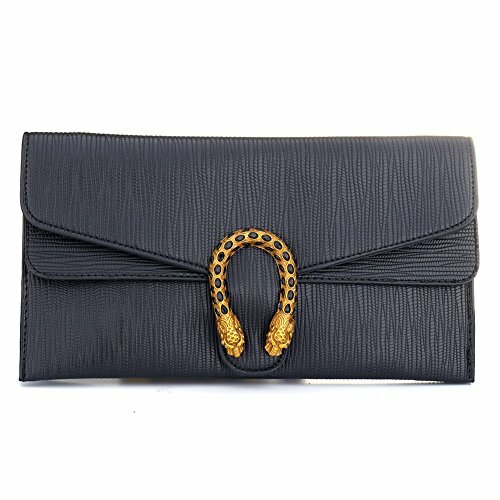 Purse features a cinched satin design with rhinestone?adorned trimming for high-class feeling! Highest quality materials, combined with fashion design and beautiful colors. STORAGE: This evening clutch have two rooms to keep things well organized, 1 pocket-style organizers, 1 big pocket inside, 1 small card pocket. Evening bag has enough space for whatever essentials they might need. At the very least, a phone, keys, ID and credit card, small containers of makeup and toiletries and cash should be on the list. If you have any questions about this product by SSMY, contact us by completing and submitting the form below. If you are looking for a specif part number, please include it with your message.